We are dedicated to cost effective recovery in timely manner and safe manner. With twenty years’ experience in the towing, recovery, and skip tracing business our clients clearly benefit from our services. We are positive we can provide solutions for all your towing needs. Here at Bullard’s Towing we are more than a fleet of tow trucks, we enjoy interacting with other business’ to help serve the people in the community. 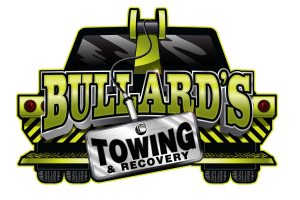 Bullard’s Towing is a NC licensed corporation and is fully insured to cover all situations, and we have done numerous jobs in the area. Our code of ethics provides fundamental principles of personal and professional codes of conduct that is expected of all employees. Principles are Integrity, Confidentiality, Professionalism and Compliance. All Bullard’s Towing employees are required to behave with integrity and honesty in the dealing with clients, customers and other parties with whom their institution interact. All Bullard’s Towing employees have a duty to safeguard confidential information obtained in the normal course of business. This duty of confidentiality involves not divulging information to third parties, clients, or customers of PARS employees. All Bullard’s Towing employees should carry out their responsibilities in a professional and courteous manner at all times. Professionalism embraces the necessary skills, qualifications, and knowledge to conduct business in an appropriate manner. ALL Bullard’s Towing employees are fully committed to ensuring that all business decisions actions comply with the standards of behavior and practice in accordance with agreed industry codes of practice. We look forward to hearing from you soon, and discussing our abilities to handle all your recovery needs. We are certain you will be very satisfied with our services!! !